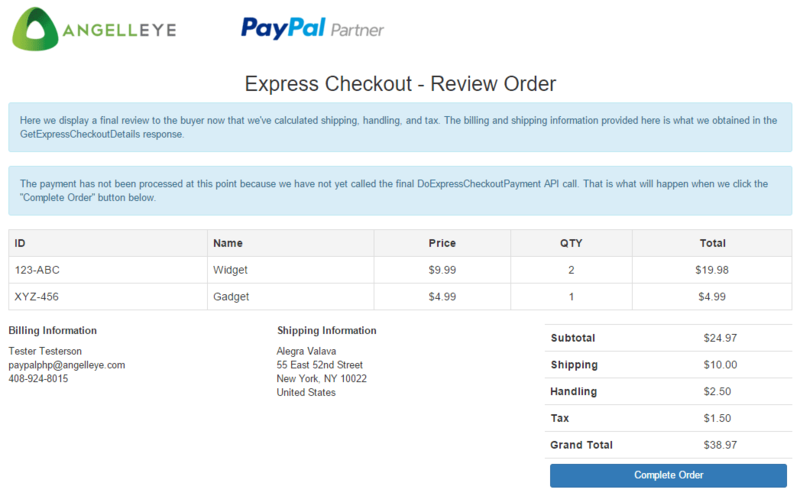 In this demo we take advantage of some of these advanced features to include itemized shopping cart details with the payment request to PayPal. 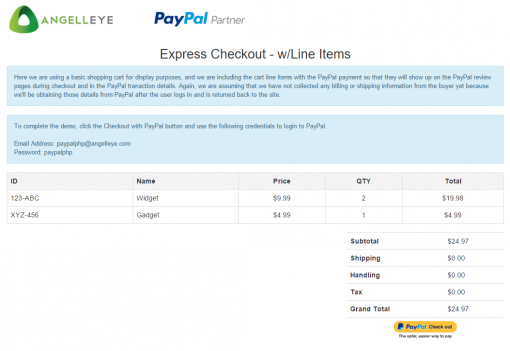 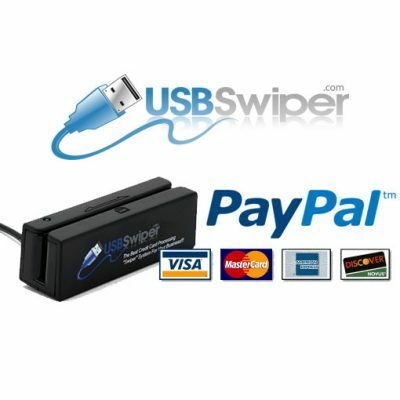 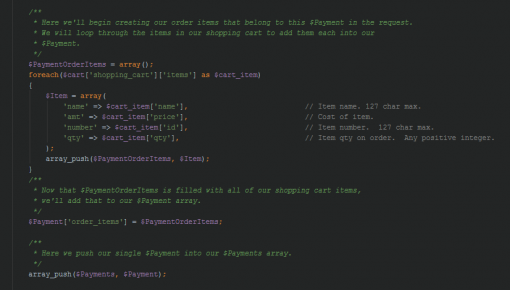 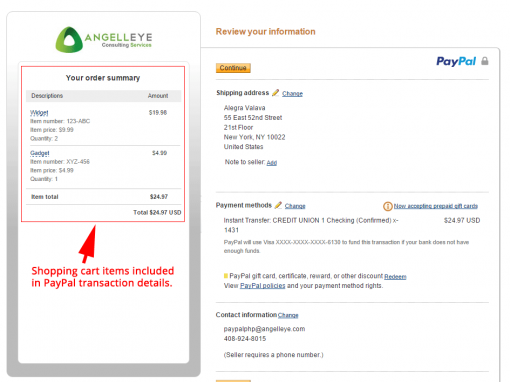 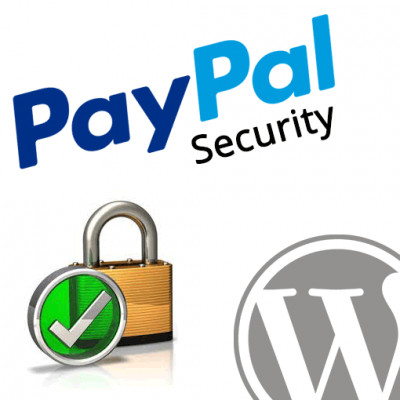 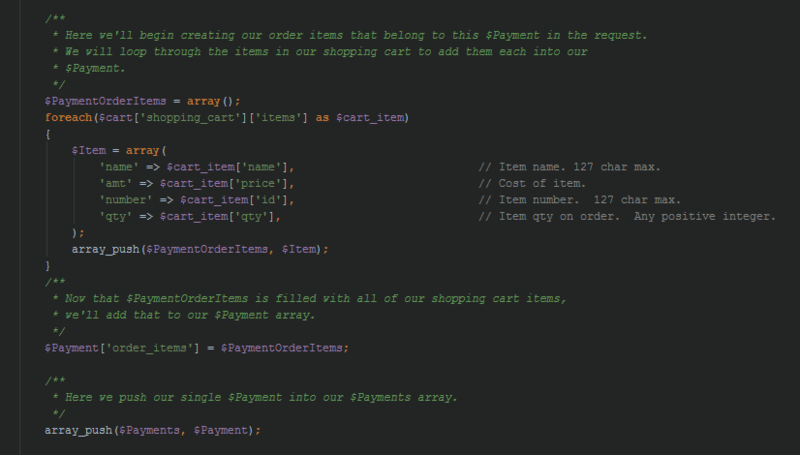 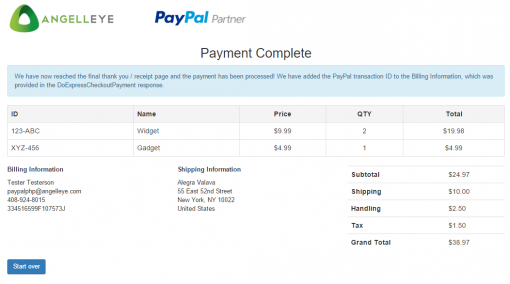 This demo kit includes a PayPal Express Checkout integration that includes the shopping cart items in the API calls to PayPal. 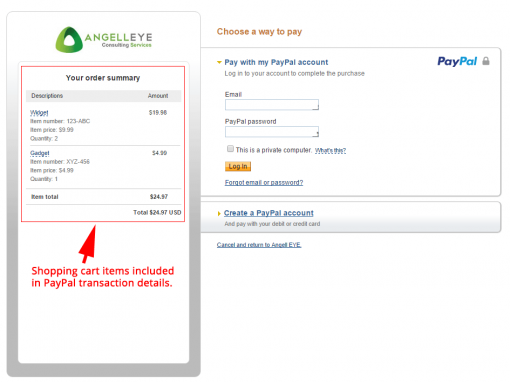 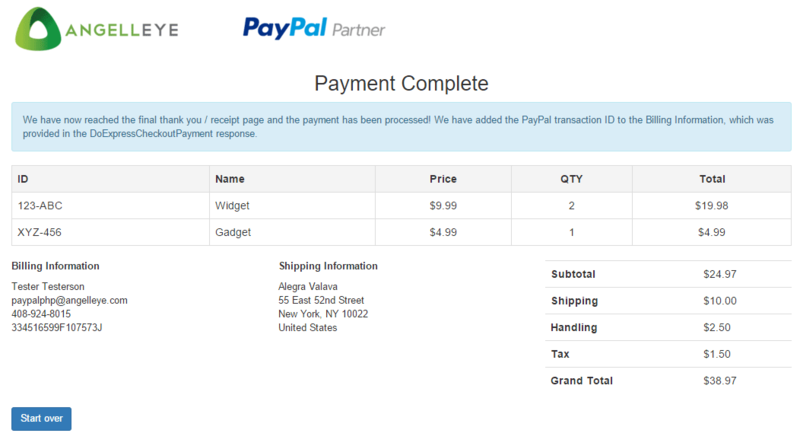 This makes the item data available in the PayPal transaction details for more accurate reporting. Order totals, description, and individual shopping cart line items are all included in the payment request to PayPal. The buyer will be able to see a break-down of the shopping cart items during the PayPal review. 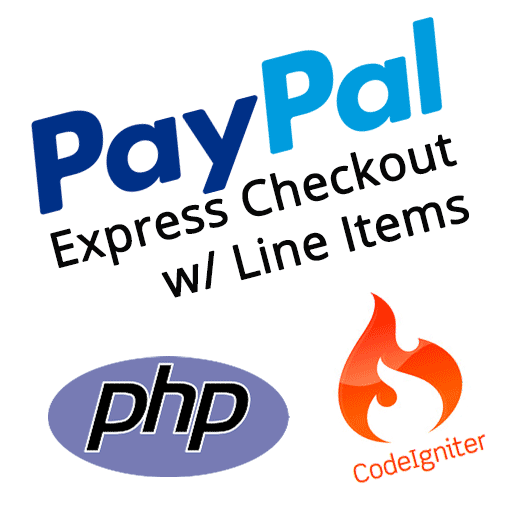 How to send a currency code of mexican money in SetExpressCheckout payment? 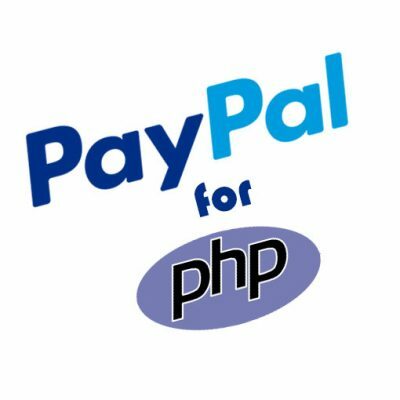 Please submit a ticket here and we’ll be happy to help you with that.